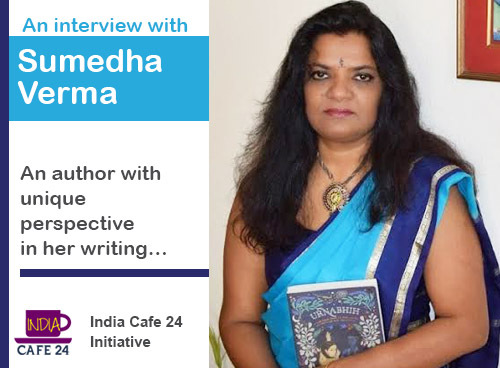 This time we have with us very talented author Sumedha Verma. In this author interview section we are glad to introduce this author to our readers. 1) Welcome to Indiacafe24. Before we Go ahead will request you to share with our readers your background and also who you are as a person apart from being an author. I was born in Bihar and did my schooling in Ranchi and Patna. I moved to Delhi for my BA Hons in Economics from LSR and then pursued my Masters from Delhi School of Economics. I competed for the civil services and joined the Indian Revenue Service in 1992. I moved to Geneva along with my family in 2007. I work as an independent consultant in finance and related issues to the international organizations in Geneva in my free time. 2) How writing came to your life? Indian history and culture have always been a passion with me and after moving to Geneva, I got more time to read and research in depth about the Mauryan period which is my personal favorite. Friends and well wishers encouraged me to write a book to express my passion about this period. And this is the result of my over two years of hard work in research and writing. 3) who encouraged you to enter this world of authors? There is an English library in Geneva – perhaps the only one in this french speaking city – where I used to spend a lot of time in my initial days here. There was a group of aspiring authors who used to meet there regularly and that was perhaps the first spark for foraying into this area. I used to be quite prolific on several facebook forums especially RBSI and made quite a few dear friends who provided me with a lot of encouragement in this endeavor. 4) Who is the one who for the first time noticed the spark in you to become an author? I grew up being a voracious reader. I was one locked up in my school library as I sat there immersed in a book completely oblivious of the closing times. All my uncles and aunts knew that best treat for me was books. I suppose it was quite clear to those who knew me that I would be taking this path. 5) Can You recall that day when you first penned down to start your journey in this world and what was that? When I came to Switzerland on a sabbatical, I had some time to pursue my passion with seriousness. I made a little corner for me in the living room with a nice view of lake geneva and just started writing with my prized possession of a Mont Blanc fountain pen. 6) How is your journey so far as an author? I am extremely satisfied today. The journey has been tough at times as my insistence on being historically accurate meant that some times I have researched for weeks to describe what may be just a short paragraph in the book. 7) You debut Novel “Urnabhih” is already in market. What sort of response you are getting from your readers? I am quite thrilled with the response which I have got. I was a little unsure how interested the new age reader will be in ancient history which for a number of reasons we have little exposure. But I was pleasantly surprised. The reviews and ratings on various internet forums and sites seems that the book is being liked by all. I have been very encouraged to note that readers are appreciating the effort that I put in research. So many of them have been recommending it to their friends. It has been figuring in the top 100 list on amazon kindle and it makes me feel very encozraged. 8) Who are your targeted readers? I think Urnabhih is in a genre which is new. It is not historical fantasy which is become quite popular. So with this book I am foraying into an unknown and undefined reader segment. 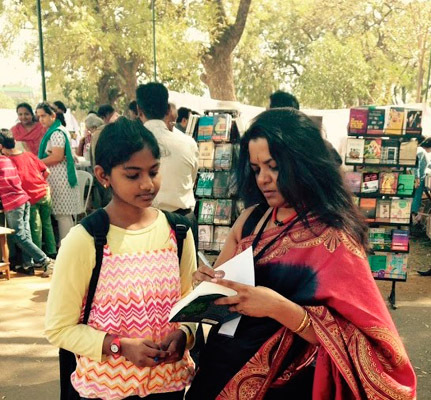 My target reader was one who is interested in Indian history and would want to read historically accurate description of the period rather than a pure fantasy using the characters from that period. 9) Will request to give a brief on the story. Urnabhih is a historical novel set in the empire building phase of the Mauryan era in ancient India. Chandragupta Maurya is in the process of consolidating his empire with the help of his shrewd advisor and mentor, Acharya Chanakya. Misrakesi arrives in Patliputra with a mission! She wants to avenge the death of her sister, Sukesi, But a chance encounter with the Chanakya, sets on her on an unexpected path. She ends up working for the state as a spy disguised as a dancing girl. In a kingdom full of mystery and intrigue, Misrakesi must always be overly careful and one step ahead of the rest. 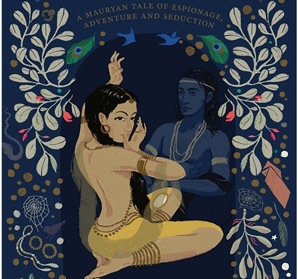 With the help and support of the handsome chief, Pushyamitra, she must make all the right moves to subjugate the enemies of the Mauryan empire. Misrakesi is sent on another dangerous assignment to conquer the neighboring kingdom, but this might be more than what she had bargained for. 10) Which is your favorite character in the novel? It is always difficult to choose one single favourite character. I have tried to build all the characters in the book with minute details. Misrakeshi and Pushyamitra are main protagonist. Siddhartak is a very important side character. I also quite like Chandramukhi and the suspense and twists that she brings in the storyline. The virtually invisible Acharya has his imprint all over the story. 11) Who is the Publisher? Roli Books. India Ink imprint. 12) How the plot came into your mind? I have been very influenced by Chanakya and his nationalistic vision for the country and arthdhashtra is the inspiration for this book in many ways. I want the readers to appreciate the richness of Indian though since ancient times and I chose to set a fiction to tell that tale. 13) What sort of problem you faced while searching for the publisher? With virtual explosion in the writing and publishing world it is important to catch the attention of the publishers with so many manuscripts reaching them. I guess I was lucky to have a FB friend who introduced me to Priya of Roli Books. We clicked together instantly as we shared a number of ideas and thoughts about ancient history and writings concerning it in India. 14) What next after this Novel? I intend to have trilogy for the Urnabhih series. Thereafter, I would love to author books set in ancient India of similar genre – rooted in throughly researched history and at the same time a fiction for space for my creativity. Hindustani classical music is another of my passions. I also love to watch Indian theatre. 16) Where you see yourself 5 years down the line? Authoring several books in the same genre with the overarching objective of kindling the interest of readers in rich tradition of Indian history which has remained undiscovered thus far. 17) Describe Sumedha the Author in One line? Obsessed with historical accuracy with a vivid imagination.